From elegant accent pillows to festive mats and comfy poufs, home accents are small parts of your home décor that can make a big impact. A perfectly paired accent pillow and pouf can add a pop of color to that subtly ties together a diligently designed room. The Rug Corner is pleased to offer you a premium selection of colorful, fashion-forward accent pillows, crafted from premium materials with the utmost care. They're the perfect way to add the finishing touch to your room design! With a vast array of colors and patterns, we are certain that you'll find the perfect pillow to match any style of home décor that you're looking for. Accent pillows are so much more than just something to place on the couch and forget about. They can tie your space together and add new designs and textures to the room. 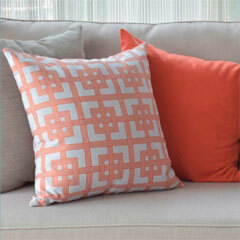 Accent pillows can also brighten up a dark room or add a deep, rich tone to contrast other bright hues in the space. Accent pillows can be used in any room of the home and pleasantly placed in any style of décor. From rustic to contemporary, our wide selection of chic accent pillows has the shades and designs that can be incorporated into any style that you want to create. We're proud to offer a premium selection of kitchen and door mats from Mohawk Home & Karastan. With designs ranging from welcoming messages to brightly colored shapes and everything in between, our wide array of kitchen and door mats are sure to spice up your home décor. The kitchen is one of the most highly-trafficked areas in the home, and mats help to keep you comfortable & safe. Kitchen mats collect water and other cooking materials and keep them off the floor, reducing the chance of injury from slipping. If you spend a lot of time in the kitchen, having a quality kitchen mat underfoot can make a world of difference. Plush mats keep your feet off the hard floor and the ergonomic designs keep you healthy and comfortable while you spend long stretches of time preparing meals. There's no better way to welcome friends and family to you home than with a festive and fun door mat! To help you greet guests from the front door, The Rug Corner carries designs from traditional to contemporary, each adorned with colorful designs and images. Add instant curb appeal and make your home more warm and welcoming with a door mat! 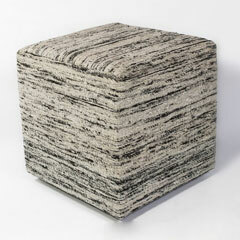 The Rug Corner is pleased to offer you a premium selection of comfortable, chic and stylish poufs. From multi-colored, plush poufs to more rigid and traditionally designed pieces, this is décor that's both functional and stylish. Poufs are a perfect way to add a pop of color to any space that can also be used as a seat when you have guests over, making them a great addition for anyone looking to maximize space and style.